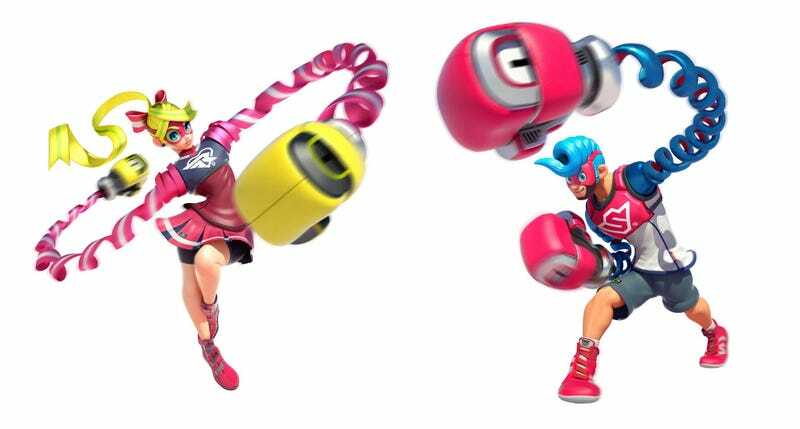 This is Arms, a new multiplayer fighting game for the Nintendo Switch that sees users taking advantage of the console’s break-apart controllers to punch each other in the face with giant stringy arms. Because combatants can jump and sling their fists, it’s a lot more complicated than a regular boxing title; it looks more like a complex 3D fighting game. It’ll be out in the March.